fivethirtyeight.com computes the likelihood of who wins every US Congressional race in the country. As of Oct 29, they have 46 races lean D (7), toss ups (23), or lean R (16). These are listed below in increasing order of likelihood of the Democratic candidate winning, linked to notes on the race by Bruce Driver from Indivisible North Boulder. Barring impeachment or resignation, the best way to constrain Trump is for the Democrats (D) to take over Congress in this fall’s elections. Most analysts believe that the chances for a D takeover of the House are higher than in the Senate. I am writing a series of reports, as primaries are held, to identify competitive seats in the U.S. House of Representatives where the incumbent is a Republican or the seat is open. 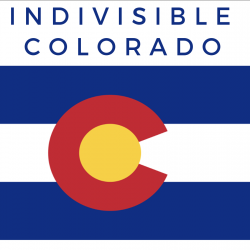 The intent of these reports is to help enable Indivisible North Boulder members and others to focus their attention on those House races that can make a real difference re which party controls the House. To determine which House races are competitive, I rely mostly on “Swing Left,” (SL), one of several websites that handicap House races. SL believes that about 75 races are competitive. This is more than other sources, such as the Cook Political Report, (Cook), (about 45 races competitive), but it seems that, at this point, it is best to start with the largest number of possibilities so we don’t miss someone with a decent chance. However, when Cook says a SL-competitive race is “solid Republican,” I don’t bother with it. The detailed reports identify and describe the candidates in competitive races in states that have held primaries; describe the districts in which they are running; and provide some political context for judging the chances of victory by the Democrat. It will take an enormous amount of energy and money nationwide to switch the House from R to D control, but it is doable. My hope is that these reports will encourage you to get involved in this effort. One step you could take is to “adopt” one or more of these candidates and support and follow them through the elections. If you want to support these candidates or dig deeper into them, you may do so by Googling their campaign websites. The sources for these reports include: Open Secrets, Wikipedia, Ballotpedia, Cook Political Report, Swing Left, campaign websites, House websites and voting records (for incumbents), local TV and print media, The New York Times, The Washington Post, Vote Smart, Politico, 538 and several YouTube sites.